Traveling without a laptop is unnerving but not as crippling as i thought it would be. My laptop screen has gone dim 2 months ago and i have been attaching it to a desktop monitor since. There is nothing wrong with the hard drive, nothing skewed with the graphics.It’s just dim. I brought a notebook instead.Yes, I’m back to the conventional pen and paper. This was probably inspired by John’s post about making drafts. 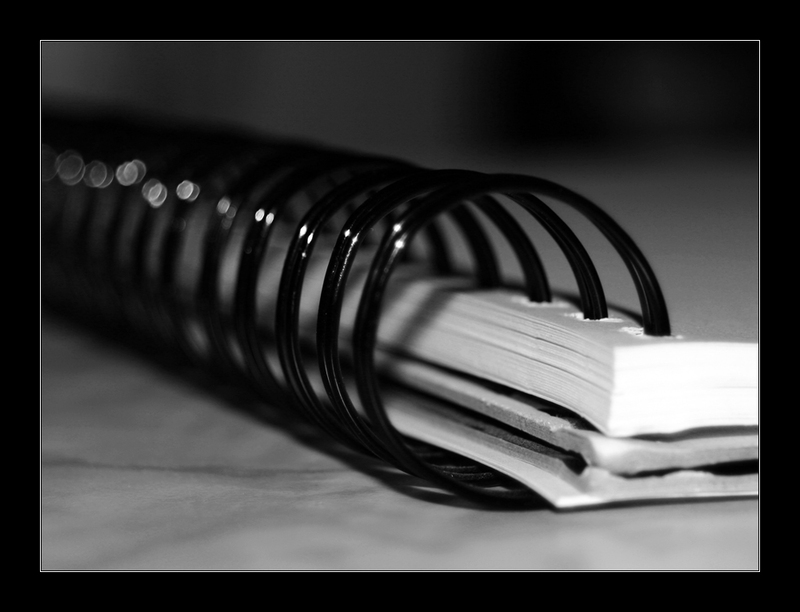 It may be more of a diary than a notebook for my blog drafts. I started writing at the Iloilo airport yesterday while waiting for my flight to Manila. I was booked for the 2:05 pm flight but I arrived 3 hours early because yesterday’s news of PAL flights getting canceled made me anxious about my own flight status. My trip was not canceled at all but it was delayed for an hour. Travel was speedy and landing was smooth even if it was cloudy in Manila. Someone promised me that he will fetch me at the airport. I was hesitant yet I believed him. When we believe, it allows the possibility of disappointment ,that’s how my favorite author said it. He arrived yet he was an hour late. I’m not even a wee bit surprised. I’m always the one waiting. It’s a skill. We rode one of those yellow cabs, then we got stuck in traffic near Makati while the rain showered my arrival. The ride from the airport to QC took 3 hours. This is simply why I never miss Manila —- traffic is toxic. I’m leaving for Mindoro tomorrow. Firsts always make me anxious —- first time, first day, first duty. I can’t wait to go fast forward, to get rid of the uncertainty and the what-ifs. Everything is hazy, even tomorrow’s trip makes me worry. I should be excited with travel and the bus ride yet there is that churning feeling in my stomach that doesn’t stop. I can’t wait to get there. I want to get on with the medical duties so my mind can focus on something real rather than thoughts that make me neurotic. have a safe trip. enjoy. writing with pen and paper fosters more….clarified thinking. I reckon it “calms” the inner turmoil before the writing comes out Aves, that’s why it’s so effective. Slower nga lang, but the work produced is more refined.